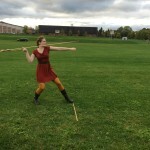 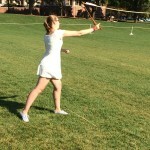 Atlatl Battle 2014 | Elizabeth H. Paris, Ph.D. 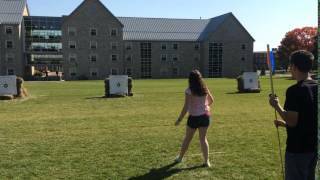 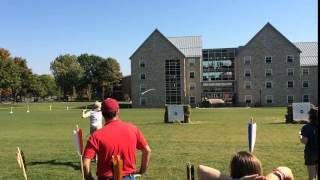 The Atlatl Battle 2014 was a public event and workshop sponsored by St. Lawrence University’s Department of Anthropology. 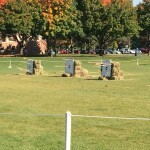 The event was developed as part of St. Lawrence University’s Family Weekend activities. 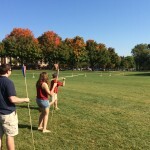 Anthropology students from St. Lawrence and SUNY Potsdam competed in a dart-throwing competition, and participated in a workshop presented by Bob Berg of Thunderbird Atlatl, where they learned how to make and haft stone tools. 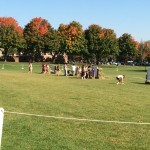 The workshop and competition took place on the St. Lawrence University Quad on Friday and Saturday, Sept. 26-27, 2014. 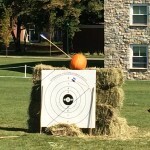 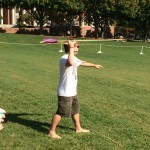 Following the competition, family and spectators were invited to try out the atlatl and darts. 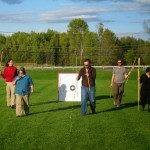 Coverage of Atlatl Battle 2014 by the Watertown Daily Times, Watertown, NY. 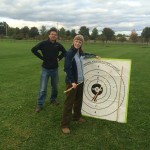 Coverage of Atlatl Battle 2014 by North Country Public Radio, Canton, NY.